Don't they have to have teeth? What if they don't get enough calories? Shouldn't we wait until after one year? The truth is your baby is most likely going to be ready for finger foods well before his first birthday (talk to your pediatrician for more precise timing). And contrary to popular opinion, your baby does not need a single tooth in order to eat finger foods, just as long as the food is diced into small enough pieces and is soft enough for his gums to chew. When Is Your Baby Ready for Finger Foods? A baby's development isn't like a light switch that turns on at an exact age (in months). Babies progress at their own pace. 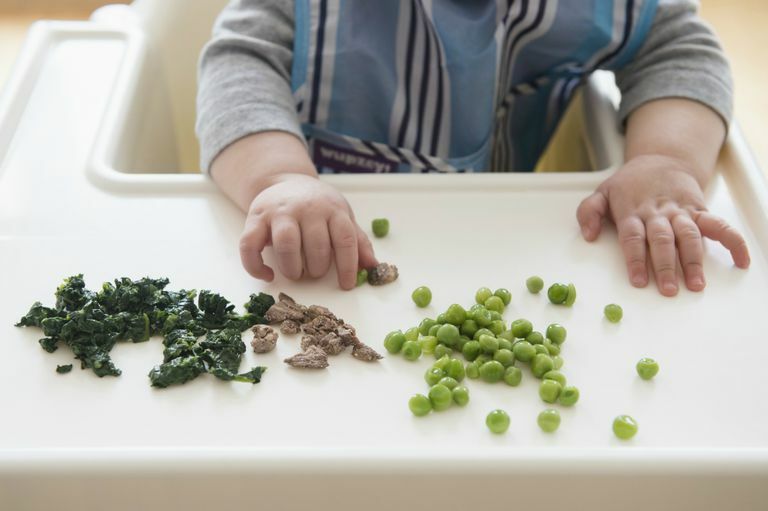 So when it comes to starting finger foods, you'll want to be sure that your baby has reached these milestones first, likely sometime between 7 to 10 months of age. Able to sit up upright completely without support or assistance. Babies who slump or slouch are far more likely to choke. Never ever leave your baby unattended while eating finger foods. Choking can happen in the proverbial blink of an eye. The American Academy of Pediatrics has released new policies on when you can introduce certain foods. More than likely your baby can have more foods than what you thought. Only give your baby foods that are in small enough pieces for your baby to handle and are soft enough for his gums to mash. Before you begin finger foods, talk to your doctor about his or her thoughts first. At each of your baby’s daily meals, she should be eating about 4 ounces or the amount in one small jar of strained baby food. Limit giving your baby foods that are made for adults. These foods often contain more salt and other preservatives. American Academy of Pediatrics, healthychildren.org. Is Your Baby Ready to Eat Solids?